The bench, which is hearing petitions challenging Aadhaar, said if the government was "confining itself to social welfare benefits" and checking whether people receiving benefits are alive or not without profiling the citizens, then can it not have "a legitimate concern in ensuring that the identity of beneficiaries is maintained". 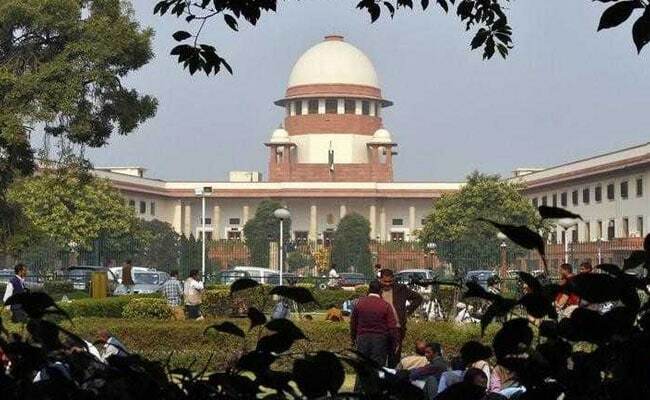 New Delhi: Can the government not have "legitimate concern" that the benefits of its social welfare schemes are reaching the right persons or verify whether the beneficiaries are even alive or not, the Supreme Court asked today. The question was posed by a five-judge constitution bench headed by Chief Justice Dipak Misra, after a senior lawyer said this concern cannot justify the "aggregation" of personal and biometric details of all citizens which can lead to their profiling and surveillance on them. "They (Centre and states) seem to be using it (Aadhaar details) for social welfare schemes... you (lawyer) made the point that it was capable of being used for profiling," the bench, also comprising Justices AK Sikri, AM Khanwilkar, DY Chandrachud and Ashok Bhushan, said. Senior lawyer Shyam Divan, appearing for petitioners challenging the validity of the government's flagship Aadhaar programme and its enabling Act of 2016, said that even this concern cannot justify the "aggregation" of personal and biometric details of citizens. The bench then referred to the government's response that it has been saving money by using Aadhaar in several schemes like MGNREGA, direct benefit transfer (DBT), LPG and kerosene distribution and asked: "Aggregation for ensuring social welfare benefits. Why wouldn't that pass the muster?" During the day-long hearing, Mr Divan referred to a judgement of the European Court of Human Rights (ECHR) in a Russian case related to interception of telephone communications and said it has been held that such interception violated the human rights conventions. The ECHR held that if there was a system of surveillance in place, without effective remedies, an individual did not have to specifically show that he was under specific surveillance and the mere existence of a law itself was a violation of privacy rights, Mr Divan said. He referred to another judgement of the ECHR in a case relating to retention of data. In this, the ECHR had held that holding fingerprints and DNA samples constituted "personal data" and retention of fingerprints may in itself give rise to important private life concerns, Mr Divan said. "Right from 2012, UIDAI encouraged the establishment of State Resident Data Hubs and there was budgetary allocation for various state governments," he said, adding that SRDH software was deployed and Aadhaar data was added and enriched with local data from other sources. Such aggregation of data in SRDH may lead to religion and caste-based profiling and the citizens' right to privacy would be infringed, Mr Divan said. Earlier, the Supreme Court had said there was a need to strike a balance between individual's privacy rights and the State's responsibilities at a time when the nation faced threats of terrorism and money laundering and to keep a tab on welfare expenditure. The Supreme Court had on December 15 last year extended till March 31 the deadline for mandatory linking of Aadhaar with various services and welfare schemes of all ministries and departments of the Centre, states and union territories.